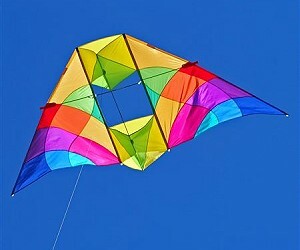 Single Line Kites especially suited to low wind conditions. 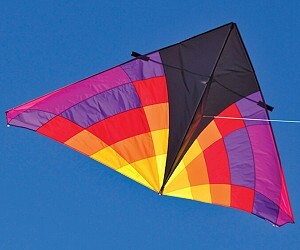 Utilizing strong but light materials, these designs are some of the easiest fliers for those balmy summer breezes. Don't get skunked when there's little or no wind. 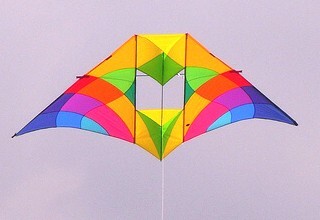 120" wingspan x 51" Rip-Stop Nylon and Carbon Fiber. Flying Line not included. 156" wingspan x 36". Rip-Stop Nylon and Carbon Fiber. Flying Line not included. 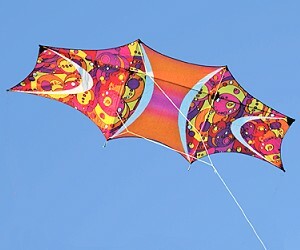 108" wingspan x 55" Rip-Stop Polyester and Carbon Fiber. Flying Line not included.